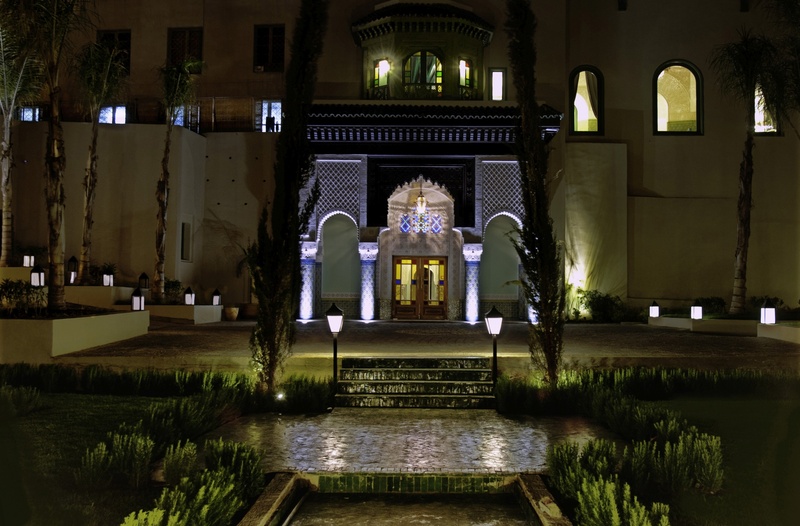 Palais Faraj looks like taken straight out of the One Thousand and One Nights and for good reason. 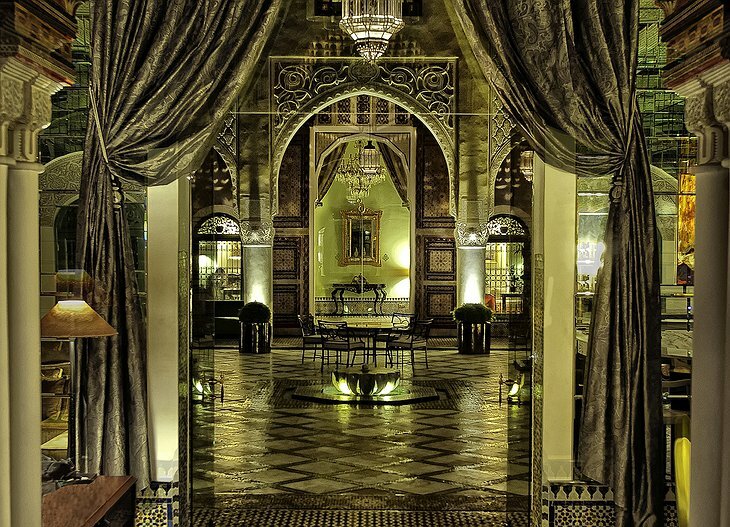 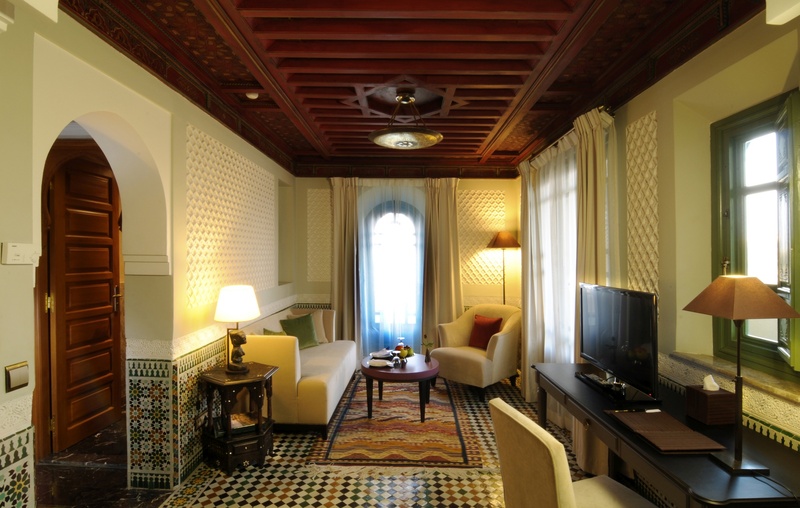 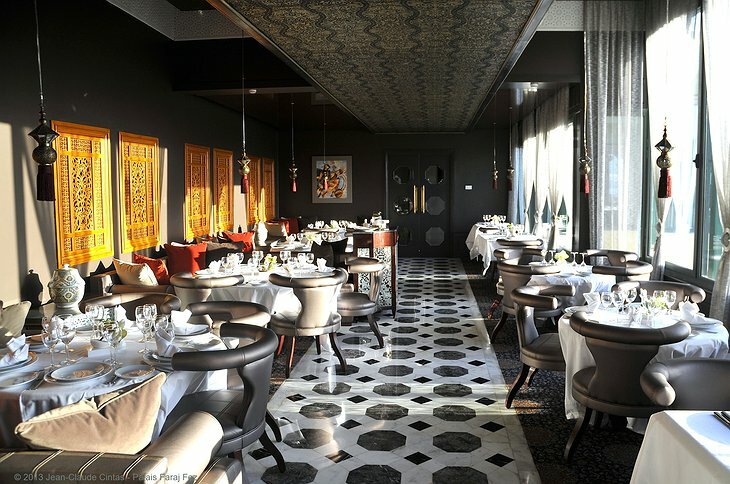 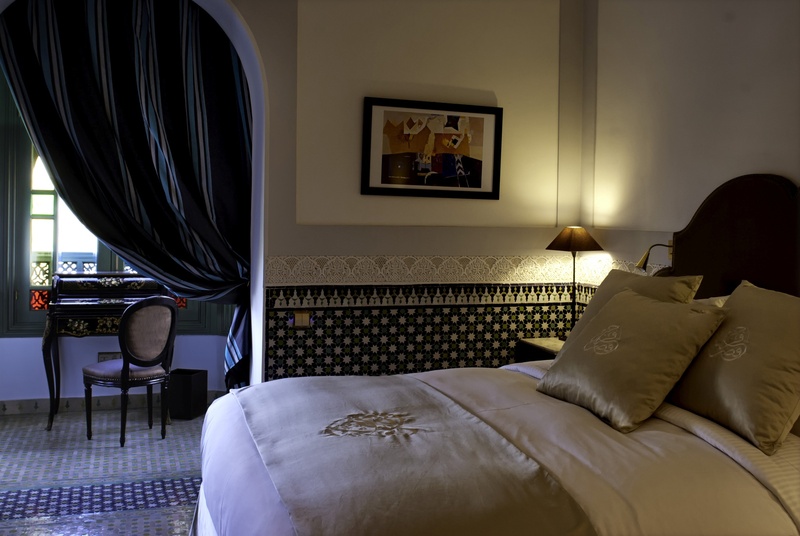 This stylish hotel is set in a former Moorish palace right in the heart of Fes. Every interior in the hotel will dazzle you with intricate wall paintings, colourful tiles and dainty stained glass that look too dreamy to be real. 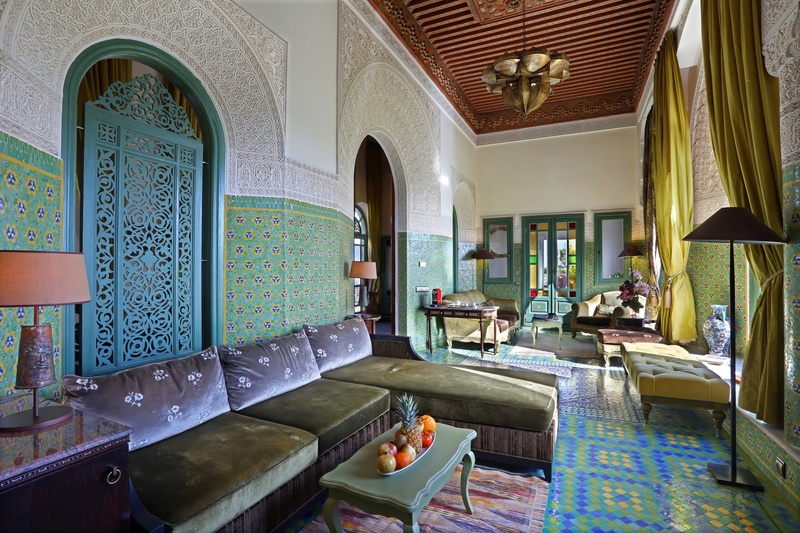 The rooms vary from spacious 40m2 doubles to a staggering 160m2 large Royal Suite with two living rooms and a terrace where you can feel like true royalty. The interior design is a compromise between the architectural heritage of the palace and contemporary style making for a grand combination. 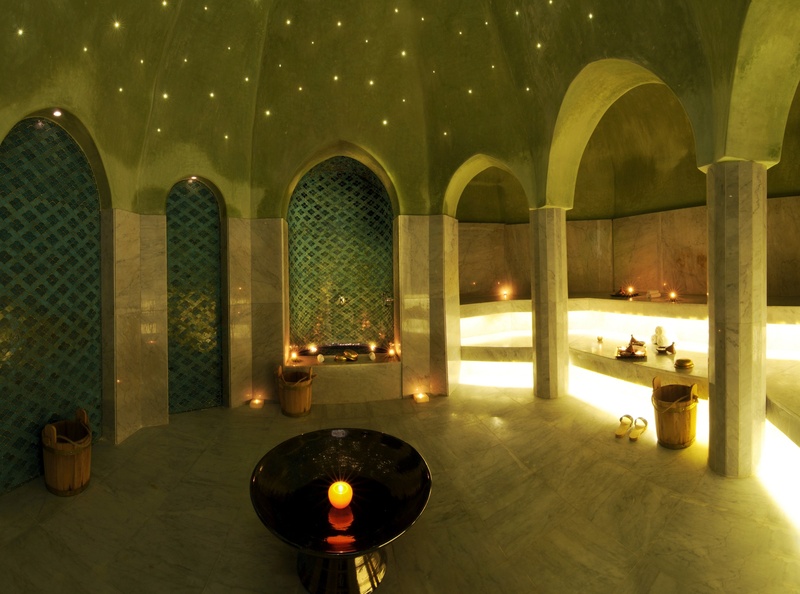 And of course, what would a self-respecting hotel be without a spa? At Palais Faraj’s inhouse spa, you can enjoy various massage treatments and a traditional hammam experience. As if the beautiful rooms weren’t enough of a temptation, the location couldn’t be more perfect either! 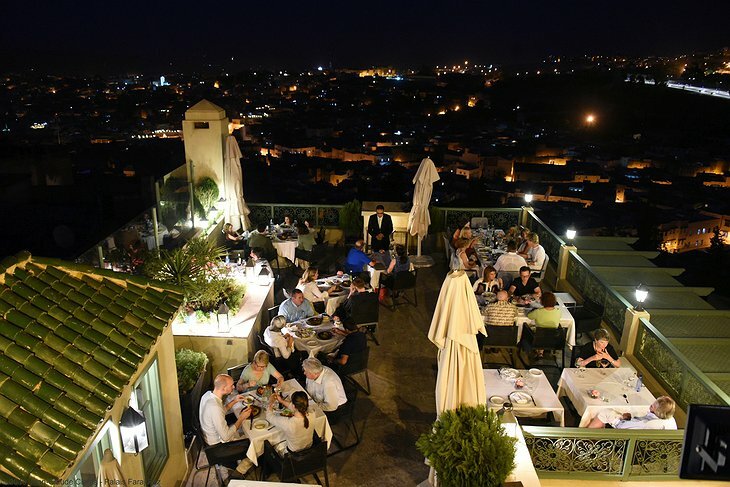 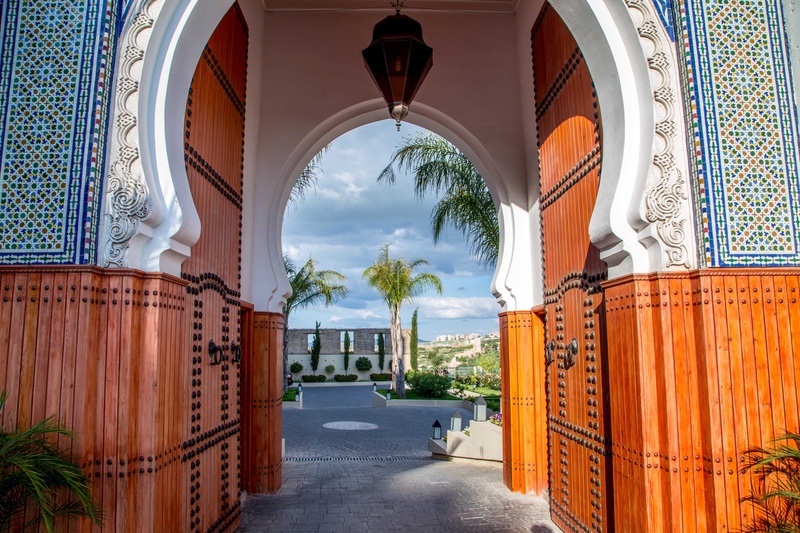 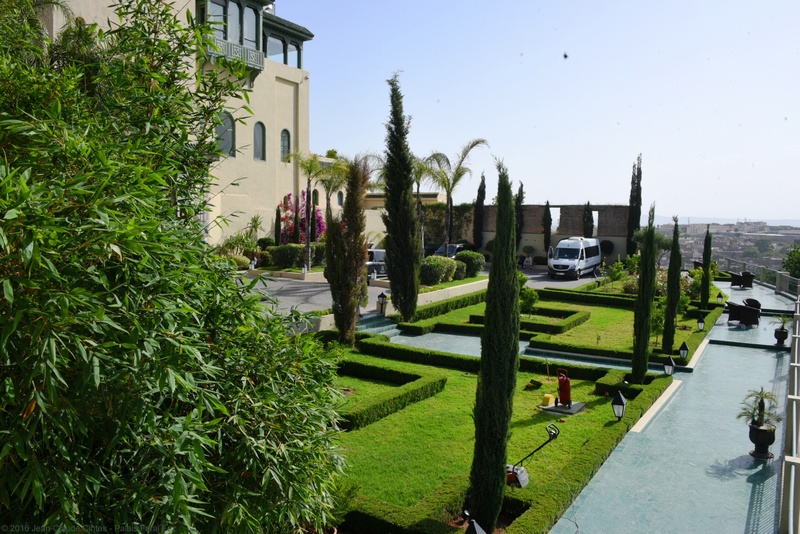 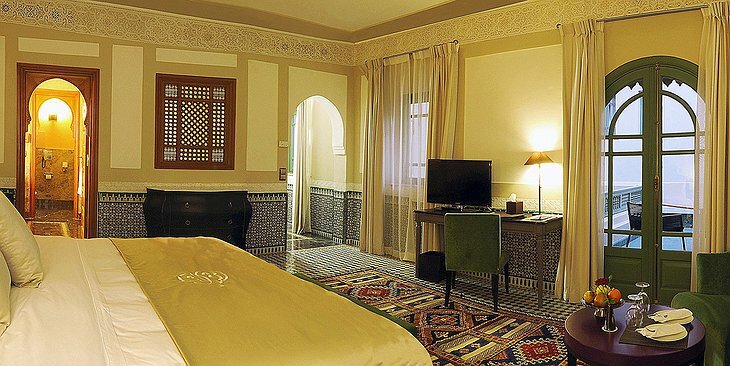 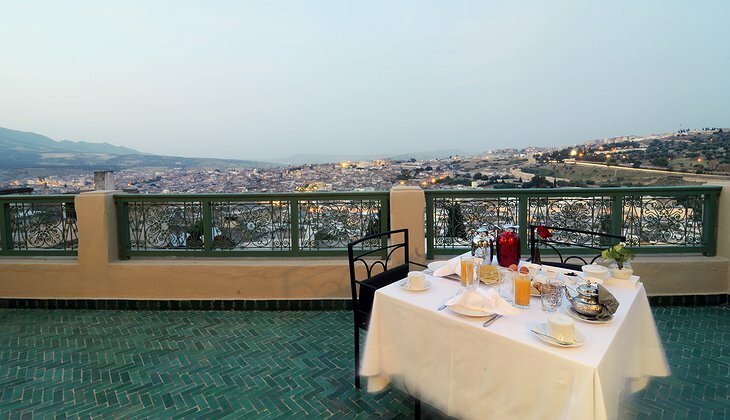 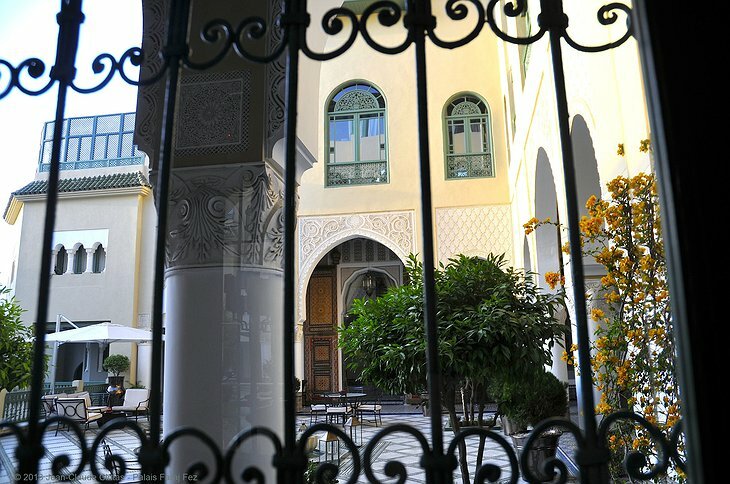 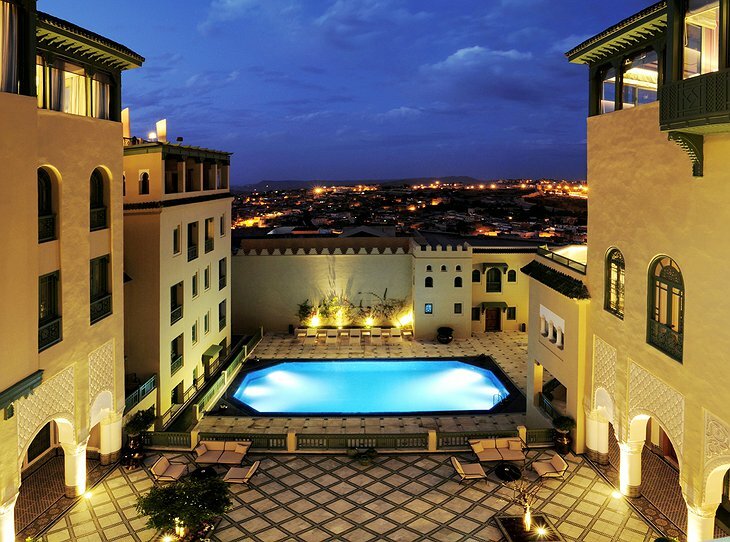 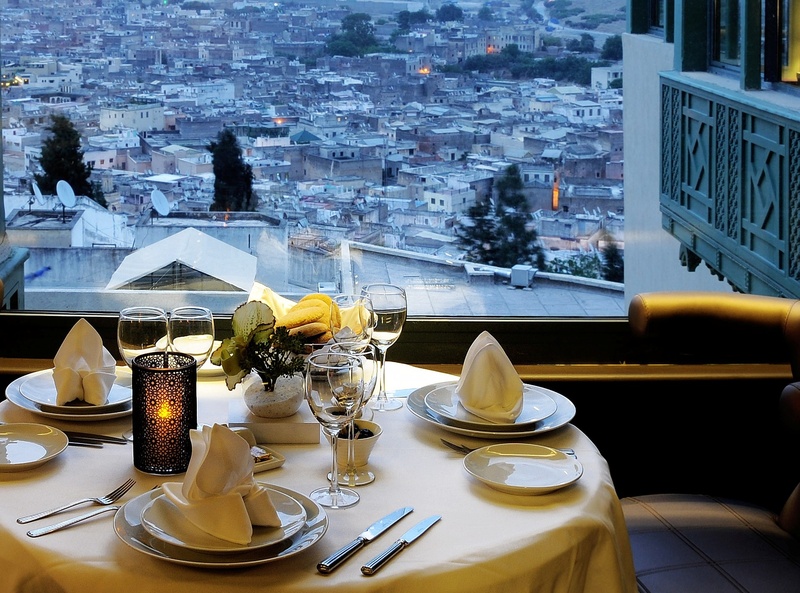 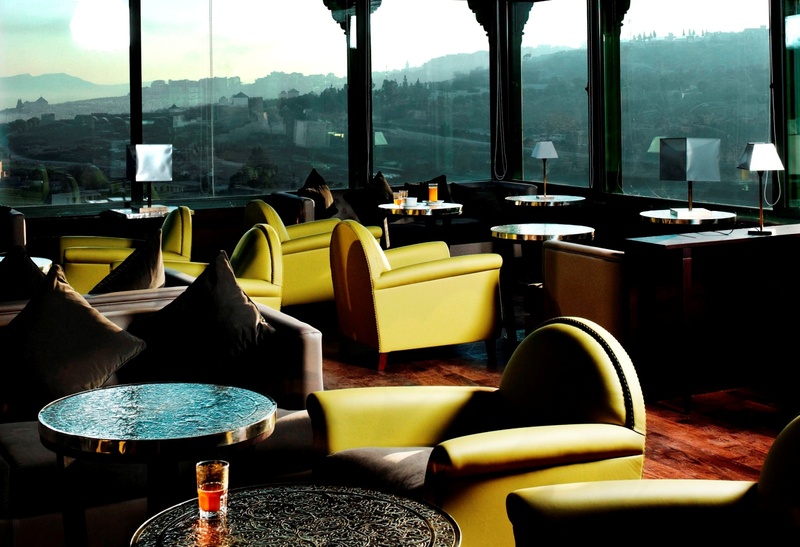 The hotel overlooks the Medina, the oldest part of Fes and an UNESCO site. 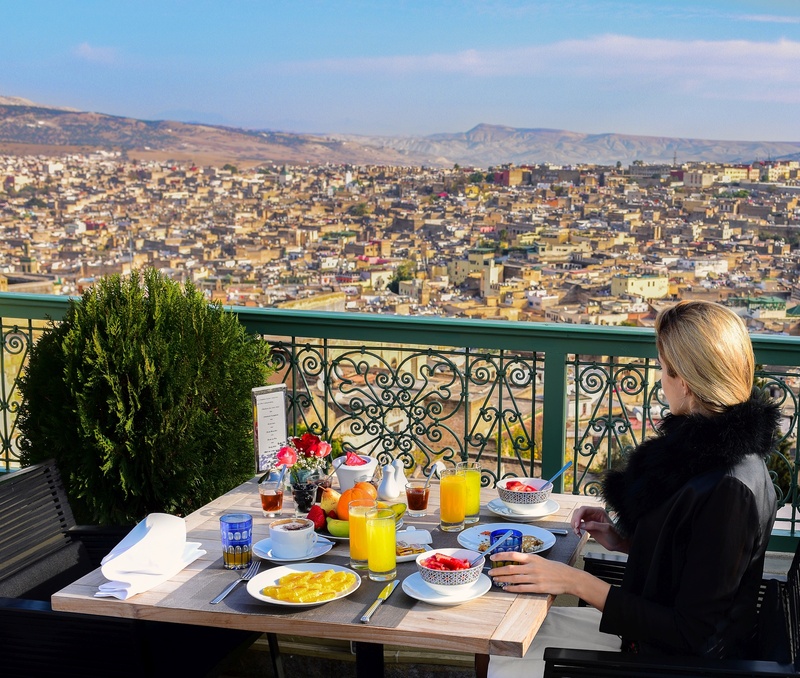 You can enjoy the stunning views from the rooftop restaurant or from the comfort of your own private balcony.